AMD AM3 CPU's and Memory Speed Issues above 1333 Mhz. In an effort to resolve AMD AM3 CPU/Memory issues that are being found by some members of the forum I have undertaken to do some testing to see if I can come up with some real answers to help all users faced with similar problems. The main area of concern is the inability to run RAM at stated speeds above 1333 Mhz if all of the memory slots are filled on the motherboard. I myself have faced this on my own PC and am using this as a comparison set-up as I know that this is now working OK.
RAM: Corsair Dominator 2 x CMD4GX3M2B1600C8 (8 Gig) Stated timings and voltage for this RAM is: 8,8,8,24 1.65V and it is currently working at this. I will be using my own Corsair Memory as I know that I initally had issues with this when running with the Phenom ii 965 and although I could get all 8 Gig of RAM to run at 1333 Mhz it would not run above this. I will be re-testing my own set-up with this CPU to see if the F4a beta BIOS has resolved the problem and the RAM will now run at 1600 Mhz or if the problem is still there. I will also be using a spare ATI Radeon 4850 Card that I have not the 4850X2 that is in my Rig. I am not overclocking and will not be overclocking any of the components during the tests. The idea here is to see if the 1090T CPU & RAM will work on the GA-770TA-UD3 motherboardboard at it's rated specs and if it does, will it still work OK when I change the CPU to the 965. Thanks must go to IceColdBeer, who is one of the members unable to get his system running properly and he has sent me one of his GA-770TA-UD3 boards to help with the tests. Also thanks to Dark Mantis who has agreed to be available via telephone should the need arise. I will update this thread after I have completed each stage of testing and would ask, in the interests of keeping this thread as clean as possible, that members refrain from posting here until all the tests are completed. If you have any comments, advice, or personal experiences of this problem that you want to add could you please send them to me via PM. Re: AMD AM3 CPU's and Memory Speed Issues above 1333 Mhz. OK this is the first stage of testing with the Base system running stabily with 8 Gig of RAM at 1600 Mhz. I have listed below the basic PC configuration and BIOS Settings. I have also added links of Screen shots that I have taken so you can see if I have made any errors in my method of reporting or if they raise something that I have not considered or looked at. I haven't posted actual pictures here as they take up too much space and I think this thread is going to be long enough without them! For this part of the testing process I am running Windows 7 Ultimate 64 bit with all of the latest updates. All hardware drivers are also the latest versions. Note: Regarding RAM Voltage reporting there is a discrepency in the reported values when checking with Various applications. CPUID H/W Monitor and EasyTune6 both show the correct voltage 1.65V. CPU-Z is showing it at 1.5V. BIOS shows it is at 1.65V So there is a possible programming glitch in the way CPU-Z is reporting things. DRAM Configuration is left in AUTO and returns the following SPD figures: 11,11,11,29 according to Corsair these should be these 8,8,8,24 but I have not really noticed any major performance loss by leaving them as is. The following links are to images of various software utilities and how they are reporting things. This set-up has been running stabily, with these settings, since I installed the 1090T CPU on May 22nd. I haven't run memtest but I have used the PC for some very heavy Multi-track Audio Recording and also for transcoding/editing some very large Video files. Both of these tasks use a lot of Memory/CPU processing power and have not caused the system to fall over at all. I hope this covers everything for this stage of testing but, if you feel I have missed anything please let me know. I will now begin the next stage of testing. For this I will be only changing the CPU to an AMD Phenom ii x4 965BE (C2 140W). 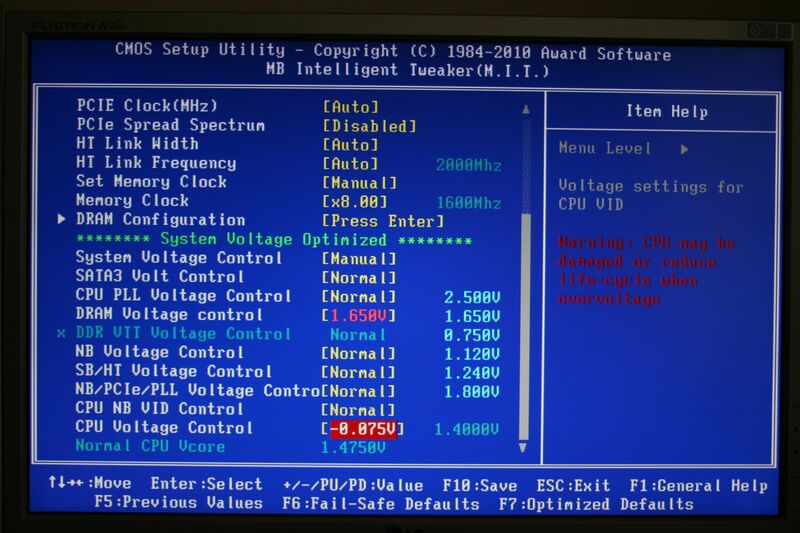 As I stated before, I could not get this configuration to run above 1333Mhz but, at that time I was running the F2 BIOS. As another member of the forum has just posted a thread with a very similar problem (check here: http://forum.giga-byte.co.uk/index.php/topic,2386.0.html ) and is using very similar kit, I will skip testing with the F3 BIOS for this board and go straight to the F4A that I am currently using. UPDATE: In an effort to make the tests as fair as possible it should be noted that a request has been made to ASUS asking if they will supply a similar spec'd board as this issue is also affecting them. I haven't run memtest but I have used the PC for some very heavy Multi-track Audio Recording and also for transcoding/editing some very large Video files. Both of these tasks use a lot of Memory/CPU processing power and have not caused the system to fall over at all. I really don't think it will prove anything that I don't already know. This system is rock solid but, in the interests of being as accurate as possible I will do as you request before I swap out the CPU. I don't want to clog up this thread so please excuse my insertion but I think that maybe IceColdBeer has a point at least it will act as a "standard". I really don't think it is worth running Memtest for longer, on this set-up as there have been absolutely no issues in over 2 months of regular daily use with this configuration. 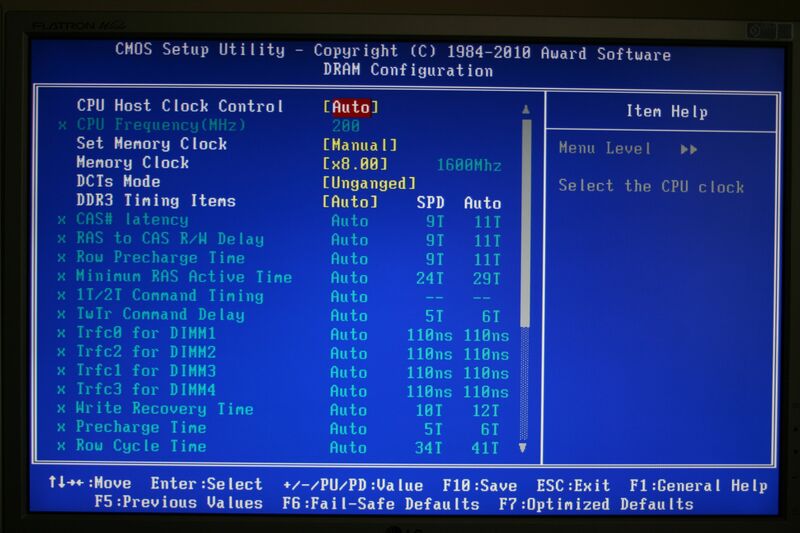 DRAM Configuration is left in AUTO and returns the following SPD figures: 11,11,11,29 according to Corsair these should be 8,8,8,24 but I have not really noticed any major performance loss by leaving them as is. There were no problems running the RAM with these settings. I had originally updated my CPU at the same time as updating the BIOS to F3 so hadn't actually tested it with the X4 CPU. With exactly the same settings as the F4a BIOS I ran memtest for over 2 hours without errors. On the F3 BIOS I also did a quick test with Corsair's stated timings of 8-8-8-24. I only did 1 pass of Memtest at these figures and I only tried this as I remembered that in my original set-up (with the F2 BIOS) I had tried running at these settings and had, had a lot of problems. Just to make sure that I was still having the original problem that I'd had when trying to run 8 Gig of RAM with the X4 CPU on this BIOS I tried to run memtest for this configuration. However, the PC wouldn't actually get past the POST screen and hung at the HDD check. 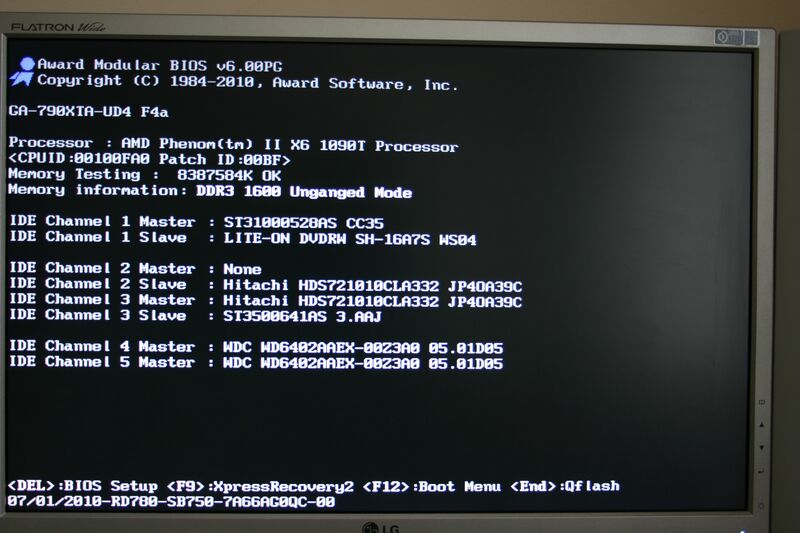 It then wouldn't let me get into BIOS and I had to remove 4 Gig of RAM to re-set the system. This just confirms that the original problem is still present for me. I have to admit that I didn't expended too much time on trying to resolve this as I had anticipated such issues and, as I stated in my earlier post, I can get 8 Gig of RAM to run with the F2 BIOS set to Optimized Defaults. I hope I haven't missed anything but, if you think I have or you would like something clarified, please let me know. I ran the initial test in Unganged Mode for 4 hours with no errors. 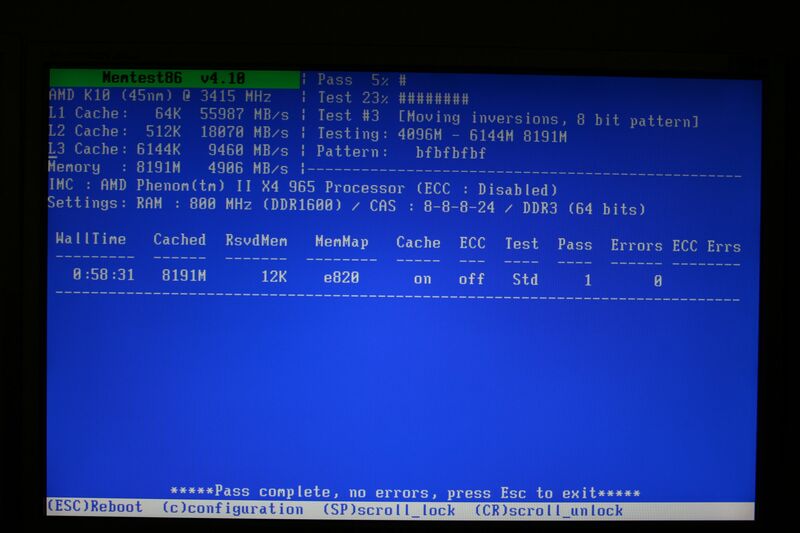 I then re-set the AMD SATA Channel to RAID Mode and re-ran the test which again resulted in no errors. I then tried to run the test with the Memory in Ganged Mode. This caused the system to fail and return an Overclock warning. 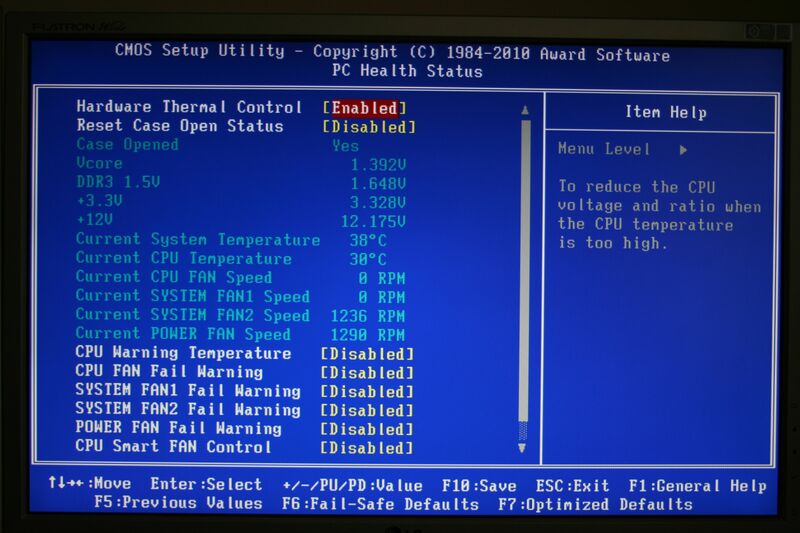 The BIOS was re-set to Optimised Defaults which resulted in the RAM being pulled back to 1333 Mhz with timings of 9-9-9-24 I was able to run the system at these settings for 3 hours and over 2 complete passes of Memtest without a problem. I will re-run these tests tomorrow with the AMD Phenom ii X6 1090T CPU. DRAM Configuration is left in AUTO and returns the following SPD figures: 11,11,11,29 according to Corsair these should be 8,8,8,24. As with the previous tests I initially ran it in Unganged Mode for 4 hours with no errors. I then re-set the AMD SATA Channel to RAID Mode and re-ran the test for over 2 hours which again resulted in no errors. I then tried to run the test with the Memory in Ganged Mode. This caused the system to fail and return an Overclock warning. The BIOS was re-set to Optimised Defaults which resulted in the RAM being pulled back to 1333 Mhz with timings of 9-9-9-24. I ran the system at these settings for over 2 hours with Memtest without a problem. With regard to the Northbridge heat issues experienced originally by IceColdBeer, I have to say that I didn't notice them. The Northbridge appeared to be running at about 40°C as he originally stated and I was able to keep my finger on the heatsink without a problem for several minutes. This was after running Memtest for over 8 hours in total. However, I should also state that the tests were conducted on a bench, not inside a PC Chassis and the ambient temerature was about 22°C. I know that IceColdBeer was facing much higher ambient temperatures. Also I did not have access to the same memory that IceCold Beer was trying to use and this could have a bearing on the lower temperatures that I noted but as the memory I was using was 1600 Mhz at 1.64V I would be surprised if this was the case. Another difference is the CPU and again, I have not been able to test with the Athlon X2 that IceColdBeer had in his set-up. I don't believe this would have caused the Northbridge to run hot, in fact, I would have thought that the 965BE (C2) 140W CPU would have caused more of a problem. These results seem to show that there is no problem with either the GA-770TA-UD3 or GA-790TXA-UD4 running 8 Gig of RAM at 1600 Mhz with the Phenom ii X4 965BE or the Phenom ii X6 1090T CPU's but you must make sure that the DCTs Mode is set to Unganged. This is not a problem with the motherboards but is due to the AM3 Memory Controller. If you want to run 8 Gig of RAM in Ganged Mode then by default you will be limited to 1333 Mhz. AMD deliberatly chose this path and the main reason is to give greater compatability with the Memory Manufacturers and to try and ensure platform stability. If you have any questions, would like something made clearer or have any comments regarding these tests, please feel free to post them. Well I for one would like to congratulate absic for a very well run and thorough testing of these items and to thank him for all his hard work which I may say was done all off his own back without any help or backup from Gigabyte. To be honest I am appalled by the lack of interest the company has shown in this venture. The silence has been deafening! Anyway I would say that absic's finding have substanciated many of our ideas about this memory/motherboard/CPU stuation. You've proved the motherboard is ok, just need to use a different processor and memory. Although my memory was 1.5V, whether that was issue remains unknown. Yes, good job testing.... you have better luck than me. Since I have same ga 770-ta MB but use a 965 BE 125w and cannot get it to use 8gb 4x2gb of OCZ3BE1600C8LV4GK or 8gb 4x2gb of F3-12800CL9D-4GBNQ at any speed, maybe I should try the Corsair ram used in the test. Or buy a 2 x 4gb kit and run it in single channel if it also would refuse to run dual. Could also go to 1333 as it is a little cheaper. Any suggestions as a brand to try if I go for the 2 x4gb kit? Thanks for the comments but please bear in mind, the tests I ran are an indication that the board is OK with my RAM, PSU, Graphics Card and CPU's. I would have loved to have been able to conduct further tests with an Athlon CPU and different memory modules to try and recreate the issues that you have been having. To re-iterate what I told you in a PM regarding memory configuration. You will not see any real gains by running your memory in Dual Channel (Ganged) Mode. In fact in bench tests, in most modern multi-threaded applications the opposite is true. AMD recommend running memory in Single channel (Unganged) Mode and they wouldn't do this if they didn't think it was correct. I can honestly say, with hand on heart, that on my own system I do not see any real time benefits between my RAM running at 1333Mhz Ganged, 1333Mhz Unganged or 1600 Mhz Unganged. Video rendering & other media encoding take roughly the same amount of time whatever the memory configuration. The way to gain a real term performance boost is to overclock the CPU and leave the RAM at 1333 Mhz. As 4 Gig RAM Modules tend to be on the expensive side I do not have enough practical experience to be in a position to recommend anything in this area. The only thing that I know for certain is that my Corsair Dominator RAM runs OK on the GA-770TA-UD3. I would totally back up what absic's testing has shown that there is no performance gains to be had from trying to run memory in this situation in ganged mode. I would like to reiterate that I think that Gigabyte could have been much more supportive of the work that absic was doing on their behalf and supplied some more hardware for him to test with. After all this is their Official Forum and the work done on here is on their behalf. If it wasn't for the help supplied here their support staff would be inundated. A fact that is sorely missed by them I think.